Shackleton’s life would change forever in 1900, when he heard of an expedition that was going to Antarctica. Shackleton was very ambitious, and desired to make a name for himself, so he jumped at this chance for distinction. One of Shackleton’s most notable qualities was his charm – he could convince most people to do just about anything, and in this case he put that skill to use. He had heard about the expedition from Cedric Longstaff, and was able to meet his father, a major financier of the expedition, and convince him to recommend that he be be given a place on the trip. Longstaff senior recommended Shackleton to Sir Clement Markham, who was organizing the expedition, and on February 17, 1901, Shackleton was appointed third officer on the Discovery. 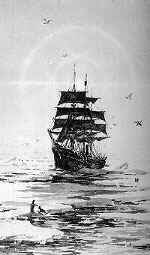 The Discovery was captained by Robert Scott, an ambitious naval officer. This was his first expedition to Antarctica, but he would go on to become a famous explorer, dying on the return journey from the South Pole. Scott would play an important role in Shackleton’s life, but they got off to a bad start as Scott was an officer of the Royal Navy, and did not appreciate civilians being appointed to his ship. The Discovery set sail on July 31, 1901, arriving in Antarctica and setting up base in McMurdo Sound to stay there for the winter of 1902 (summer in the northern hemisphere.) Through the long months of close confinement, the relationship of Shackleton and Scott worsened. Shackleton, unlike Scott, was a natural leader. He was very popular with the men, and Scott may have seen him as a threat to his authority. 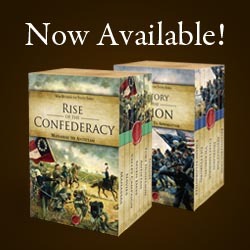 In the long, dark months of waiting for summer, when they could travel, the men had various pursuits. The scientists worked in the laboratories and gave lectures, and the men prepared the stores. There were also amusements to be had. Football was played on the ice, and Shackleton edited a newspaper, the South Polar Times. One thing that was neglected was training for the coming journey. Scott was not good at preparations, and did not have his men gain the experience in skis and sled dogs which they lacked. Shackleton, who was more inclined to fervent bursts of energy rather than the slow, patient, hard work, did not go out on his own to remedy the problem. Traveling across the Barrier, which was later found to be an ice sheet jutting many miles from land out to sea, they made relatively slow progress. However, on November 11 they passed the previous Furthest South set by Borchgrevink a few years before. For there on they were traveling in unknown land. Their support parties turned back on November 15, and the three men began relaying because they had too much supplies and equipment to haul in one load. The dogs were not much help, for although they could be tremendously useful if treated properly, Scott, Shackleton and Wilson were ignorant in dog driving. The rations for the dogs were also wrong, and so they had to kill them, one by one, as they fell too sick to work. As the men pushed forward across the cold and lonely expanse of ice, it quickly became apparent that the pole was out of reach. They were falling sick from scurvy, a deficiency of Vitamin C. Humans do not produce the vitamin, and have to get it from fresh food. Its onset is slow because we have large reserves in our bodies, and the horrible symptoms quickly fade when fresh food is restored. It was not known at the time what caused the disease. In previous decades it had been known that lemon juice would prevent the disease, which was a standard requirement on British ships, but the knowledge had been lost when the navy switched to lime juice which contained less Vitamin C. The symptoms of scurvy that the explorers suffered were horrible. Although he did not like to admit it, it was clear that Shackleton was the worst. He also suffered from a more mysterious disease, a trouble with his heart. Throughout his life he was very mistrustful of doctors, and would not let them examine him. He would eventually die from heart disease, and this problem, combined with the scurvy and cold, left him very sick. As they turned back on December 30th, still on the Barrier, he was still unable to pull the sledge, and at times even had to ride. He was very short of breath, and was constantly coughing. However, with an incredible will power, he continued to press on through his sickness and keep moving, helping to pull the sledge when he could. It was clear that Scott had cut their margins too close. Their food was running so low that if they encountered a bad blizzard they probably would not have made it. Under this pressure, Shackleton and Scott lost their tempers with each other. With his calm, patience and cool head, Wilson took over the real leadership of the expedition, preserving the peace between Shackleton and Scott. 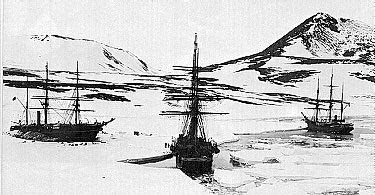 Wilson, Scott and Shackleton finally reached the ship on February 4, 1903. 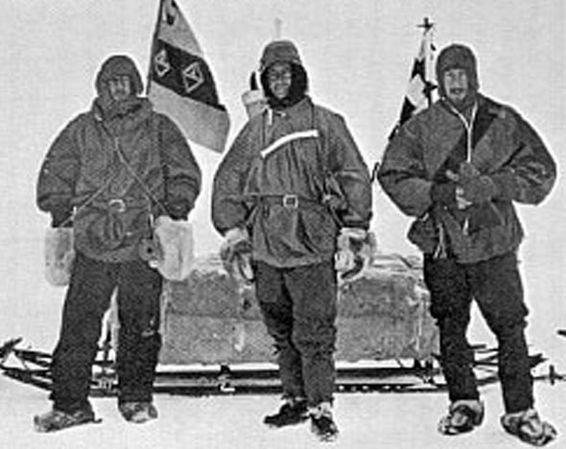 Although they had not been able to reach the pole they had set a new record of Farthest South. The relief ship the Morning had arrived, but with the Discovery still in the ice, Scott decided to stay another year. Shackleton, however, had to go. He and Scott had quarreled, and Shackleton had fallen sick. He was returned home, an invalid, although others who were sick were allowed to stay. Shackleton never quite forgave Scott for this. He was determined to return to Antarctica and succeed where Scott had failed. He was too much of a natural leader for Scott to keep. 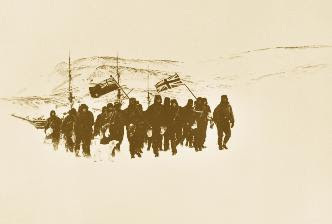 Scott chose to blame his failures in the southern journey on Shackleton, portraying himself as a rescuer of a sick comrade.